James Cotton is famous for using a Shure 585SA model back in the 60's. The Japanese did what they did best back then and made a copy in the shape of this Realistic Highball microphone and is widely known to be very similar to the real thing at the fraction of the cost. Don't just take my word for it, Google it, it's all there. This dual impedance mic has been wired to hight impedance for so this 60’s microphone is ready to play the blues, loud and proud with a huge tone. Comes supplied with a wired in lead and 1/4 jack ready to roll and plug into your amplifier for a raw tone that you can only get from a vintage microphone. The slick chrome body makes it look like a gun from Buck Rodgers! Mic clip included too so if you start playing at open mic nights you can dazzle em with this harmonica microphone straight from a mic stand if your looking for that James Cotton sound. 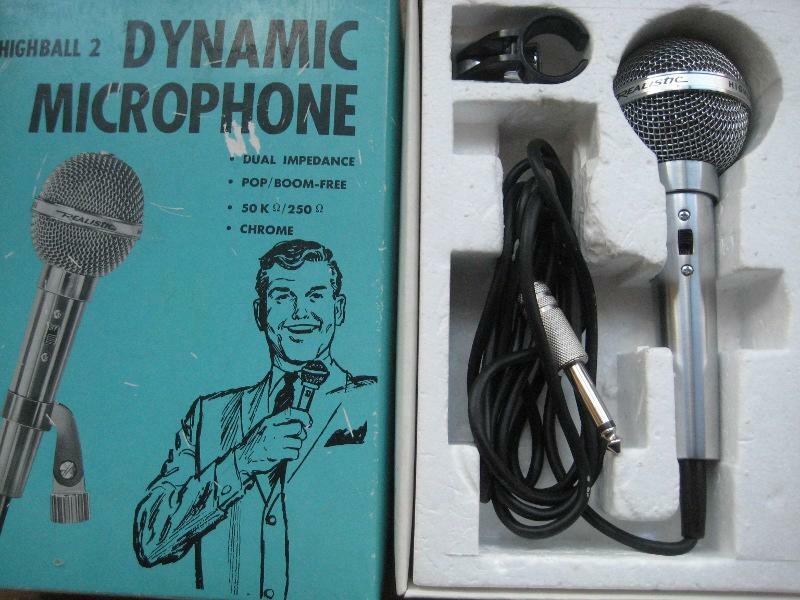 Comes with mic clip and instructions, great example of a vintage microphone. May come with box as shown, a different box or no box. This is electric blues harmonica at a great price. A great harmonica microphone to buy not just for the beginner harmonica player but the more experienced wanting to get to grips with the raw amplified tone like the big man himself at the fraction of the cost of the real thing. Check out the video of Will Wilde using his Cotton copy mic. GREAT HARMONICA MICROPHONE TO BUY!